Western River Expeditions' 3-Day Grand Canyon river trip covers 100 miles of the Colorado River. Your helicopter will land at Whitmore Wash, just below Lava Falls (Mile 188 on the Colorado River). 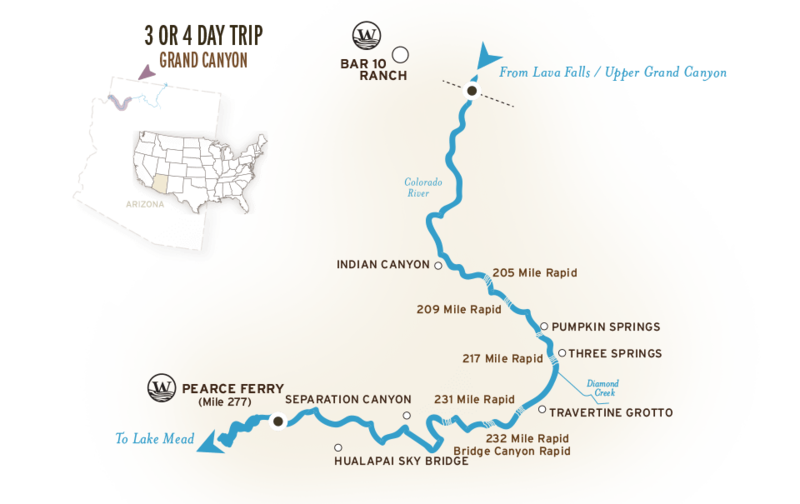 From here, you'll raft all the way to Lake Mead, experiencing some exciting rapids, spectacular scenery and other locations accessible only by raft.